1.14 Cts 6.5 mm AAA Round Sky Blue Topaz Four-Prong Ring in 14KW Gold . 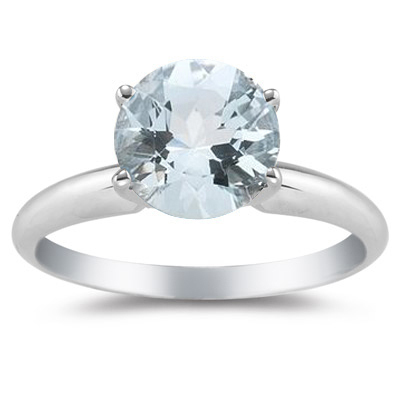 This startling Sky Blue Topaz Solitaire Ring contains an AAA quality round Sky Blue Topaz four prongs set in 14K White Gold. Approximate Gemstone Weight: 1.14 Carats. 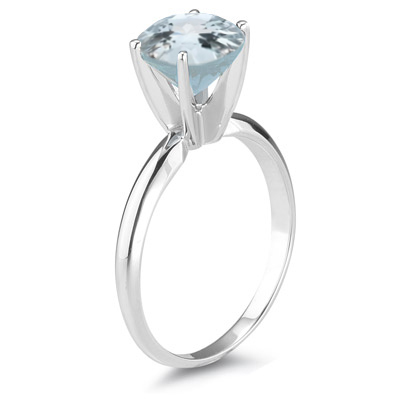 Impress her with this exuberant Sky Blue Topaz Solitaire Ring.